You are currently browsing the tag archive for the ‘Apollo’s Fire’ tag. Apollo Fire’s Sunday evening performance at the Baroque Music Barn in Hunting Valley shows why the early music/Baroque ensemble can and should make forays outside of classical and into the heart of American folk music. Their latest program “Glory on the Mountain,” is a follow-up to their highly successful “Come to the River” tour and CD, and is now in the midst of a 10 performance tour of the Cleveland area. “Glory on the Mountain” is an exploration into the music and culture of 18th and 19th century Appalachia, a place populated by British settlers. It combines haunting melodies, foot-stomping jigs and reels, stories, and a healthy dose of comedy, all with musicianship of the highest order. The audience sang, clapped, shed a few tears, and laughed, ultimately enjoying a taste of the good times that our mountain forebears must have had. This weekend Apollo’s Fire, directed by Jeannette Sorrell, gave four performances of their latest program, The Power of Love: Passions of Handel and Vivaldi. The featured soloist was the brilliant young soprano Amanda Forsythe. I heard the Friday night concert at St. Paul’s Episcopal Church in Cleveland Heights, with its newly renovated acoustics which livened up the sound considerably. The music was mostly Handel and Vivaldi, but Jean-Philippe Rameau made a couple of cameo appearances as well. Much of the classical music world still operates on the time-honored apprentice system, which emphasizes hands-on training over degrees and diplomas. Apollo’s Fire showcased four of its young artists in two concerts last weekend. I caught the performance on Saturday evening, March 15 in Tucker Hall at St. Paul’s Episcopal Church in Cleveland Heights. Billed as “Music Collision: Art Meets Folk, 1614,” the hour-and-a-half performance featured soprano Madeline Apple Healey, violinists Augusta McKay Lodge and Cynthia Black, and viola da gambist David Ellis in various solo and ensemble combinations supported by AF artistic director Jeannette Sorrell at the harpsichord and Daniel Shoskes on lute and theorbo. 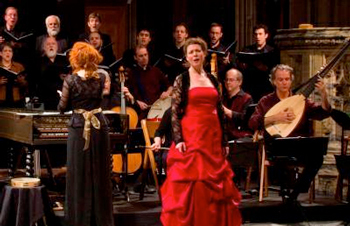 Apollo’s Fire has made a name for itself in over twenty years’ worth of vivid and passionate interpretations of early music on period instruments. 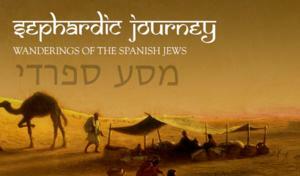 Now, founder and artistic director Jeannette Sorrell has taken her ensemble in a new direction with a program of Jewish music from Spain and Italy entitled “Sephardic Journey: Wanderings of the Spanish Jews,” which is making the rounds of venues in Akron, Cleveland Heights, Beachwood and Rocky River from February 20-25. I heard the performance on February 21 at St. Paul’s Episcopal Church in Cleveland Heights. That something new will reveal itself this week as Apollo’s Fire presents five performances of “Sephardic Journey: Wanderings of the Spanish Jews” beginning on Thursday, February 20 at Fairlawn Lutheran Church, with subsequent concerts at St. Paul’s Episcopal Church in Cleveland Heights (February 21), The Temple – Tifereth Israel in Beachwood (February 22 & 25) and Rocky River Presbyterian Church (February 23). During the first of her amusing asides to an audience who had just slogged through snowdrifts on Sunday afternoon, soprano Meredith Hall noted that the subtitle of this year’s Apollo’s Fire’s Fireside Concerts was “Drive the Cold Winter Away.” “We have failed!” she added, ruefully. Well, maybe the Polar Vortex and its aftermath had chilled patrons to the bone on the way to Rocky River Presbyterian Church, but the English music from the 16th and 17th centuries that awaited them inside warmed the cockles of the soul, even with no fireplace in sight. 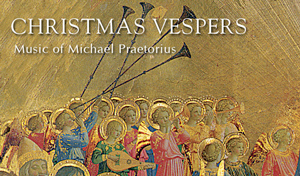 Since it premiered in December of 2011, Apollo’s Fire’s Sacrum Mysterium – A Celtic Christmas, has become a holiday favorite of area audiences. From Tuesday, December 3 through December 8 at locations through Northeast Ohio, Jeannette Sorrell and Apollo’s Fire will present five performances of their acclaimed production that celebrates Celtic artistic traditions, interweaving Renaissance choral music with ancient pagan carols, folk dances and joyous fiddle tunes. A colorful band of bagpipes, flutes, strings, and Celtic harp will join Apollo’s Singers. The performances also mark the return of three of Apollo’s Fire’s favorite guest artists — Canadian soprano Meredith Hall, British baroque guitarist and step dancer Steve Player and hammered dulcimer virtuoso Tina Bergmann. 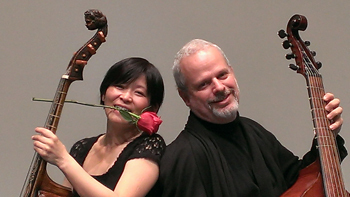 Apollo’s Fire audiences will experience that brasher voice of the viola da gamba this week, as Cleveland’s baroque orchestra presents five performances of “Tangos and Fandangos with Boccherini and Friends” in area churches. The program includes René Schiffer’s “notorious” Tango Concerto for two gambas featuring Schiffer and his colleague Mime Y. Brinkmann. Elsewhere on the program the two soloists will swap out gambas for cellos to duel away in Schiffer’s Fandango. From glen to glen, the bagpipes shepherded guests to the Baroque Barn in Hunting Valley on Thursday, June 6, for the first of several performances of Apollo’s Fire’s charmingly rustic program, “My Father was a Matchmaker: Tunes & Tales of Love from Old Ireland” with Irish storyteller Tomáseen Foley. The weather, as if on cue from Mother Nature, was misty, cloudy, and a wee bit chilly – but the perfect setting for tunes and tales of love from Old Ireland. While one might have longed for a pint of Guinness and a warm hearth, William Coulter (guitar/guest musical director) masterfully led the musicians and audience to a remote parish in Ireland, where we met a true Irish culture-bearer, Tomáseen Foley. The evening was an intimate glimpse into the Céilí, an informal social gathering that includes song, dance, poetry and storytelling. June is finally here, which means it’s time for many musical groups to move into Summer Mode. 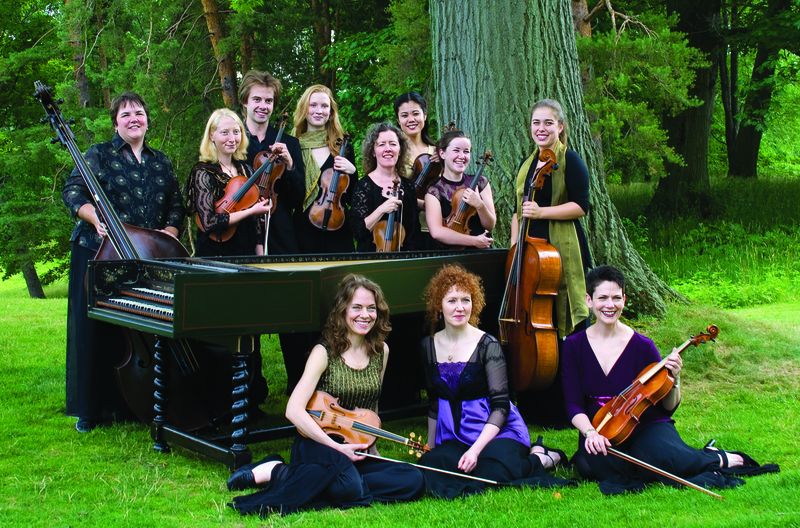 For Apollo’s Fire, that means the 2013 edition of the group’s popular Countryside Concerts is just around the corner. 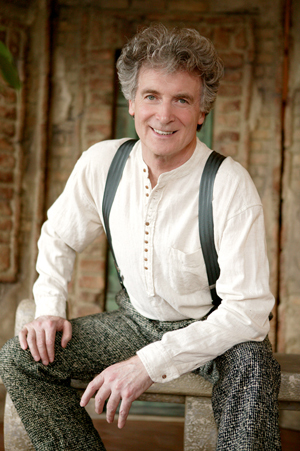 Beginning on Thursday, June 6 and running through Tuesday, June 11, with a special children’s concert on Tuesday June 11, (check our Concert Listings page for locations and times), the acclaimed Irish storyteller Tomáseen Foley returns to Northeast Ohio with a new show titled My Father Was a Matchmaker: Tunes & Tales of Love from Old Ireland. Foley will be joined by his longtime collaborator and Grammy Award-winning artist William Coulter, guest music director & guitarist, vocalist Ross Hauck, Irish piper & dancer Brian Bigley, hammered dulcimer player Tina Bergmann & Canadian fiddler Edwin Huizinga. 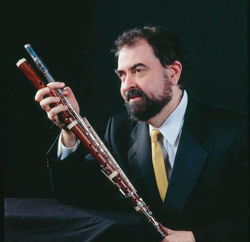 “I call this Life 2.0 or ‘Michael is back!’” exclaimed Oberlin Conservatory Baroque Flute and Recorder Professor Michael Lynn during his miraculous recovery from debilitating liver disease following an organ transplant at the Cleveland Clinic earlier this year. Lynn, who has taught at Oberlin for 36 years and served as its associate dean for technology and facilities and curator of musical instruments, received a diagnosis of liver disease eight years ago and was placed on a transplant waiting list. Because his “numbers” were so good at that point, his wait would turn out to be a long one. 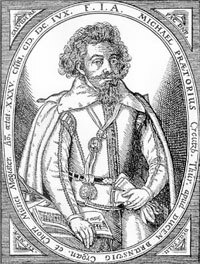 But after he developed encephalopathy and diabetes and had to take a medical leave from Oberlin, the situation soon became critical. This winter has seen Cleveland’s baroque orchestra presenting “intimate” concerts of Vivaldi and Bach with reduced forces, perhaps for budget reasons. By contrast, this concert assembled a big band—almost thirty instrumentalists—fitting for late 18th-century operatic and symphonic literature. The investment in such a richness of talent paid off in an extraordinary mixture of precision, energy, and richness. 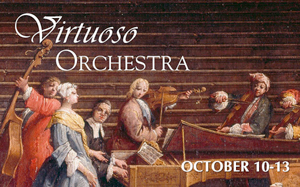 Full string sections were backed by pairs of natural horns and paired woodwinds—baroque bassoons, oboes, and flutes. In Oberlin’s Finney Chapel—acoustically clear and relatively dry—the group could play at faster tempos than in the resonant churches in which Apollo’s Fire normally performs, and with a tighter sense of ensemble. Soprano Amanda Forsythe returns to Northeast Ohio and Apollo’s Fire this weekend to sing Haydn and Mozart arias in concerts in Akron, Cleveland Heights and Oberlin, following appearances in Handel’s Messiah (including a recording) and an earlier concert set of excerpts from Mozart operas. The New York native started out at Vassar College as a marine biology major, then switched to music and went on to pursue a graduate degree in vocal performance at the New England Conservatory. 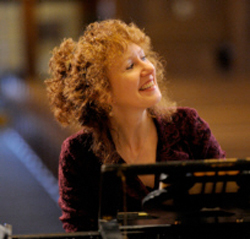 Turned down for NEC’s opera workshop, Forsythe went in search of other singing opportunities and found herself cast in a performance of a Cavalli opera at Harvard, where she met her husband-to-be, conductor and University Organist Edward Elwyn Jones, as well as Boston Baroque director Martin Pearlman. Apollo’s Fire presented the first of four performances of “The Intimate Bach, Part II” as part of a series entitled The “Fireside” Concerts at Fairlawn Lutheran Church on Thursday, March 14. 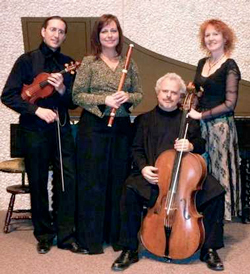 Three of the ensemble’s principal players, violinist Olivier Brault, flutist Kathie Stewart, cellist René Schiffer and the ensemble’s director, harpsichordist Jeannette Sorrell, performed music by Bach and Telemann. When Apollo’s Fire resumes its “Intimate Bach” series with Part II — four concerts in Akron, Cleveland Heights and Rocky River from March 14-17 — one of the featured artists will be baroque flutist Kathie Stewart, who will solo in J.S. Bach’s Flute Sonata in e minor and join violinist Olivier Brault, cellist René Schiffer and harpsichordist Jeannette Sorrell in two of Georg Philipp Telemann’s Paris Quartets.